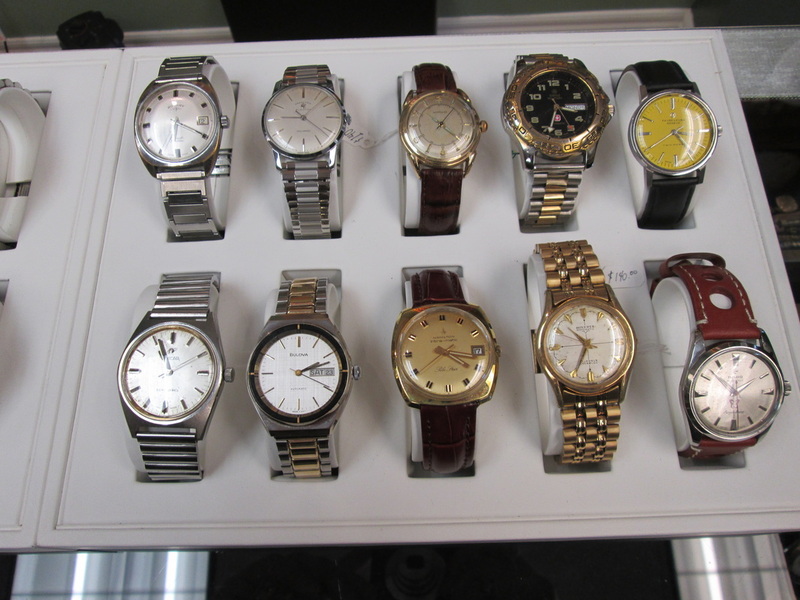 Just some of our vintage watches. 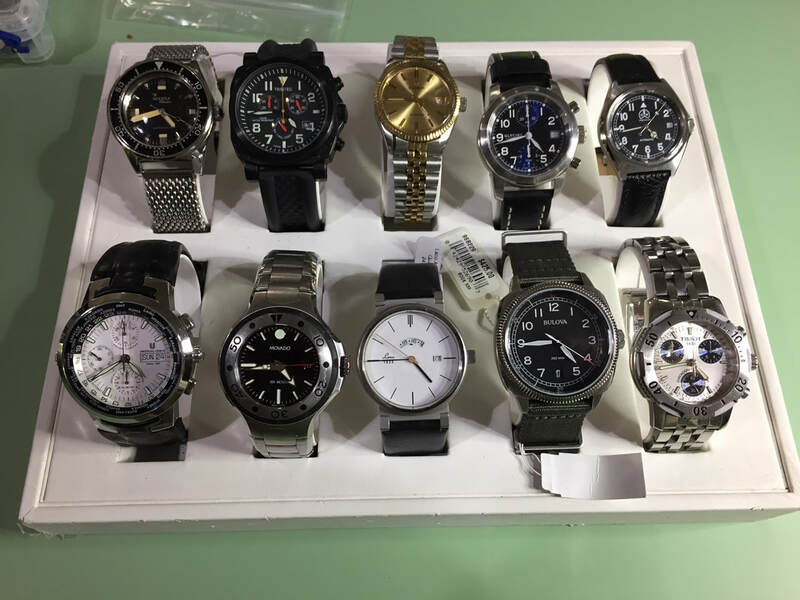 The inventory changes frequently, so if there is that special something you are looking for, we can help you find it. If there is something you see here that you are interested in, please don't hesitate to call to make sure it is still here. 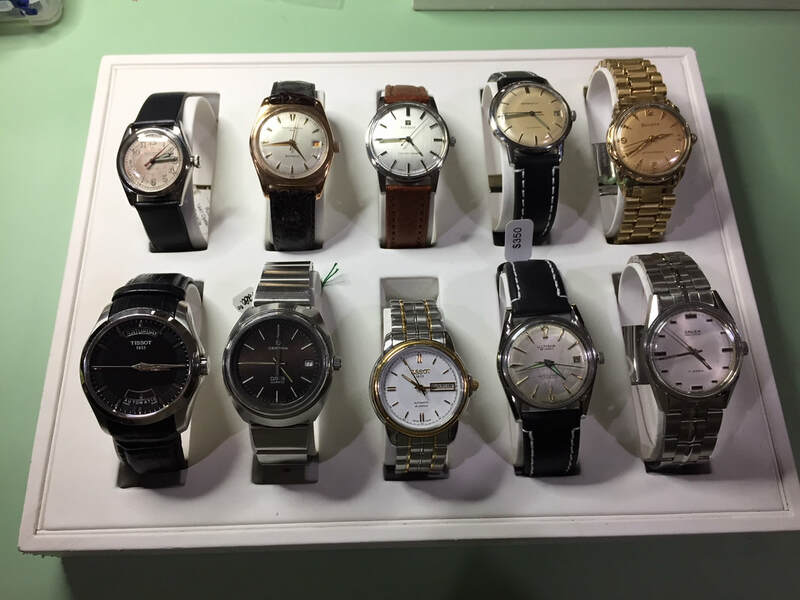 Not all stock is pictured, we have hundreds of pocket watches and watches waiting to be serviced for sale.